As a small business we will treat your vehicle like our own and take good care of it. We do not operate on a high volume speed business plan. We take care of your vehicle and make sure it leaves better, cleaner and safer than it arrives. By Choosing us you choose quality. We only use good, manufacture quality, glass and industry leading products. Our glass is good but if a rock chips it we will repair all your chips for the first 90 days. 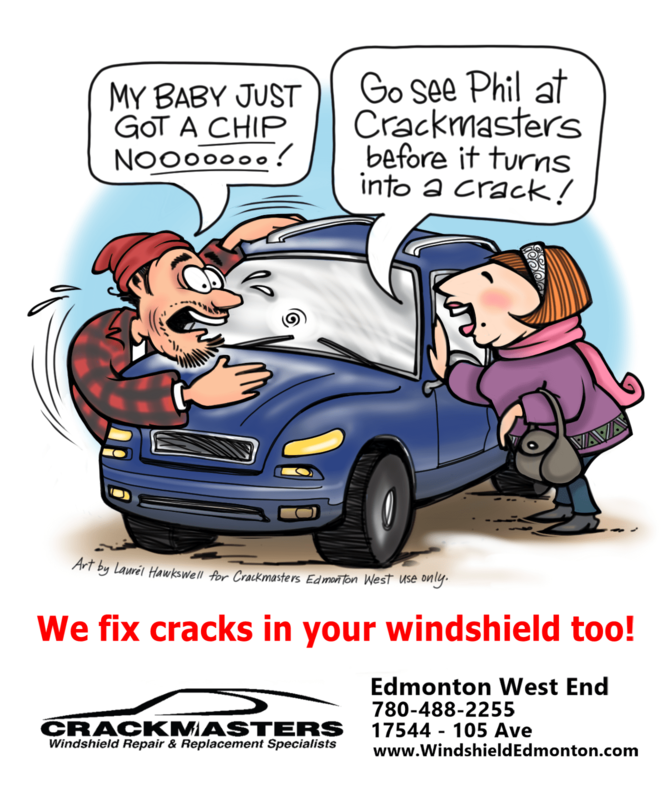 3 months of FREE rock chip repair is a great warranty so you can leave with peace of mind. Our prices are competative for quality service and products and we offer more; FREE Aquapel, FREE rock chip repair and we make sure you driver area is cleaner before you drive away. We will take care of your vehicle’s windshield rock chip repairs, we can do long windshield crack repairs and if needed we can replace your windshield too. Trust us we use the best resins for repair and we operate in a clean indoor shop. we like to meet and chat with our customers so your not a number or a patron of the big box store that happens by our tent. We are here for you and will be open on cold days too. shop local and support us and we will look after you. Crackmasters West take care of customers.